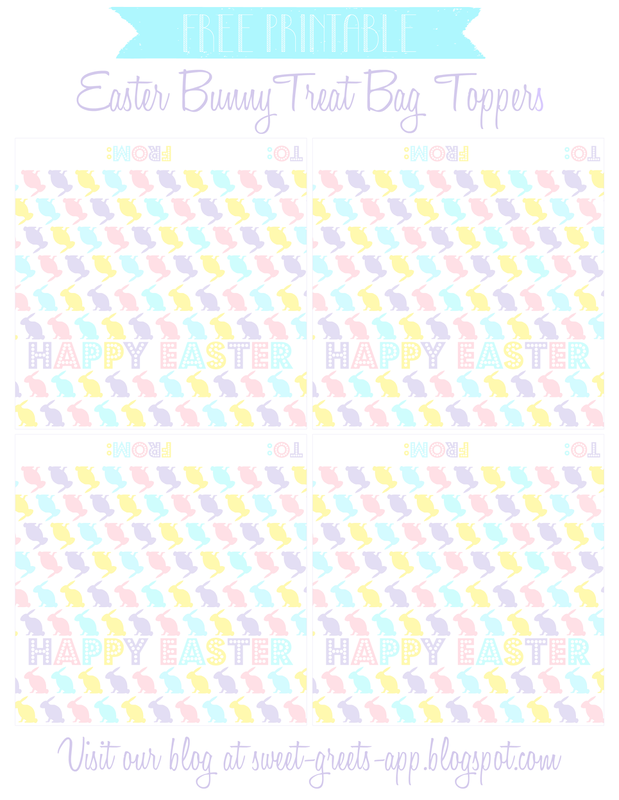 This set of 4x4 inch printable treat bag toppers features adorable Easter bunnies in pastel colors. Use them for classroom parties or for gifting friends and family with special Easter treats, like Cadbury eggs and Peeps. Yum! Just click the image above to download. Print, cut, then attach to a 4 inch treat bag. Happy Easter! For more Easter freebies - including digital papers, iPhone wallpapers and more - just follow this link.